Download Best ISO to DVD Burner for Windows 7/8/8.1/10 & Learn How to Burn ISO Image File to DVD. Q: If I create the .iso of my master and burn it back to my new DVD, is that the same thing as having software that duplicates the DVD? Is that what a DVD duplicator is doing behind the scenes? A: Well, it is - and it isn't. As long as you're talking NON-DRM source DVD it is. And that's exactly what a DVD (or CD) duplicator is doing. Add DRM and it's a different story. Commercial DVD duplicators deal with the DRM issues. If you have ISO existing in your computer, you can burn it to DVD to create DVD duplication (please do it legally and for non-commercial use only). You may rely on some professional DVD copy software like WinX DVD Copy Pro which supports burning ISO image back to DVD on Windows 10, 8(.1), 7, XP. WinX DVD Author is a 100% free DVD creator which can burn DVD folder or VOB file to DVD disc such that you can play it on home DVD player. 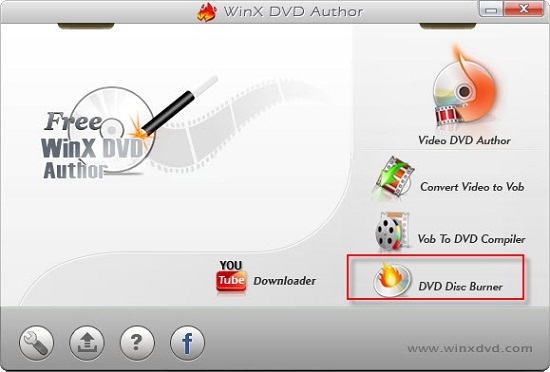 Besides mounting DVD ISO and burning ISO to DVD, WinX DVD Copy Pro can also burn DRM DVD to DVD. In this way, you don't have to mirror DVD to ISO first. Instead, you can burn any DVD to DVD directly to make DVD copy without any quality loss or any worry about drive or DVD compatibility. It fully supports CSS, Region Code, RCE, UOPs (FBI warnings), Sony ARccOS, APS and Disney X-project DRM tricks.